On to part 2 of my 100 best albums of the aughts list. 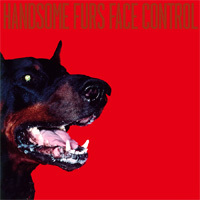 Handsome Furs sound like a post-punk version of Wolf Parade. Face Control is even more instrumentally bare than its predecessor, and that’s a good thing. (Dan Boeckner’s songwriting is so strong, it doesn’t need added frills.) This record brings to mind vintage 80s post-punk (particularly The Sound’s From the Lion’s Mouth—one of the most overlooked albums of the 80s.). 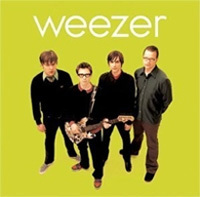 The Green Album has been unfairly criticized for not rehashing the reference-laden, blissful distortion of The Blue Album nor the Albini-esque bite and emotional openness of Pinkerton. That criticism is entirely unwarranted in my opinion—this record is as catchy as Weezer has ever been. It may be somewhat bland lyrically, but, it’s Weezer! Minus a few witty references and some irony and sarcasm, this is quintessential Weezer. Fittingly, the night after I wrote this, I got into an argument with a dude at a bar who said everything post-Pinkerton sucked. Wrong. Gimme Fiction is prototypical Spoon; as groove-laden as ever, poppy, subtly hypnotizing, and damned enjoyable. Britt Daniels’ voice (and delivery) is especially engrossing; when added to his rhythmic jazz- and reggae-influenced guitarplay, it becomes downright intoxicating. 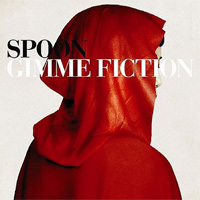 Gimme Fiction is not Spoon’s best, but it is far from their worst. 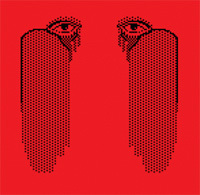 Bear In Heaven combine bits of psychedelia and electronica with colossal, shoegazey choruses. Parts of Beast Rest Forth Mouth hint at MBV, Boards of Canada, Aphex Twin—at times even bringing to mind Brian Eno. Don’t let that confuse you, though; this album is quite cohesive and sounds distinctly “new”. 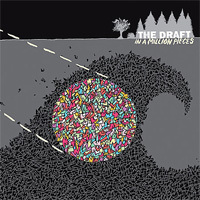 The Draft is basically Hot Water Music sans-Chuck Ragan. But, as much as I love Ragan, I’ve never been able to dive too deeply into Hot Water Music. Admittedly, it’s probably heresy to acknowledge, but I prefer this over the band’s Ragan-fronted era (similarly, I prefer the post-Danzig Misfits). In a Million Pieces is in no way revolutionary, but it’s a solid, well-written and anthemic record. 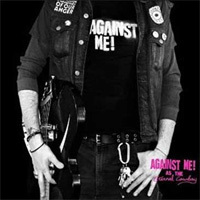 Against Me’s lackluster, overproduced recent material has unfortunately clouded my opinion of their earlier work. I say unfortunate because whenever I go back and listen, I remember that this is an outstanding folk-punk (punktry?) record with no immediate weaknesses. I also love the ridiculously clever song title, ‘Cliche Guevara‘. 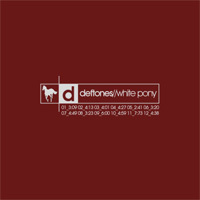 I still remember staying up all night and leaving early to buy all three versions of White Pony on the day of its release; it was (and still remains) Deftones’ most ambitious record. Chino’s vocal stylings are as schizophrenically divine as ever, and his lyrics are typically fragmented and ambiguous (both good things). It really is too bad Deftones got lumped into the unfavorable (and ill-fitting) “nu-metal” genre. 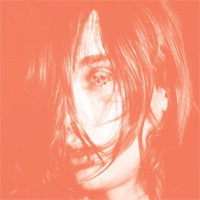 The difference between Deerhunter and Atlas Sound is pretty negligible to me. (Deerhunter has slightly less ambiance, I suppose.) Regardless, Bradford Cox’s fingerprints are all over this; his best songs (‘Nothing Ever Happened‘, ‘Never Stops‘) are absolutely dripping with layered melodies. (Play them loud!) Bonus points for one of my favorite album covers. Probably the most noticeable aspect of Fever to Tell (with YYY’s recent albums as context) is its simplistic, raw (mids, mids and more mids!) production. 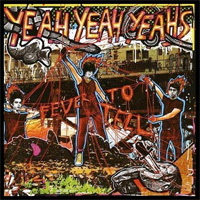 Karen O’s art diva cachet was already oozing through the seams, though, and accordingly, several classics (‘Rich‘, Maps‘, ‘Pin‘) and probably the most underrated song in YYY’s catalogue (‘Y Control‘) will keep this record from being forgotten. 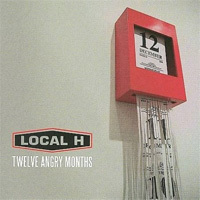 A concept album about a 12-month breakup written by Local H? Yes, please. As usual, Scott Lucas’s lyrics are biting, snarky and brilliant. (“Give me my Zeppelin CDs you know you took them I know you did/Where’s my Pretenders record you know the one the one with ‘Kid‘/Wheres all my AC/DCs my Interpol my Libertines/Where’s all my Kyuss records you never liked them untill you met me“) Mix that with Local H’s typically thunderous riffs and an hair-raising, climactic 8-minute closer, and you have an outstanding record. Subscribe to comments with RSS or TrackBack to '100 best albums of the aughts, part 2 (#90-81)'. Wait I was in a bar arguing with you about Weezer? Deerhunter’s the likely overlap from this entry, but White Pony deserves consideration. Gerlad, check out Foals’s sophomore album, they’ve grown a lot since their debut. It wouldn’t belong on this list though. two Local H in the top 100? I’ll have to revisit them. Post Pinkerton, I consider Weezer to be a singles band. I’ll check out a couple songs, but I’m not all that interested in the album.